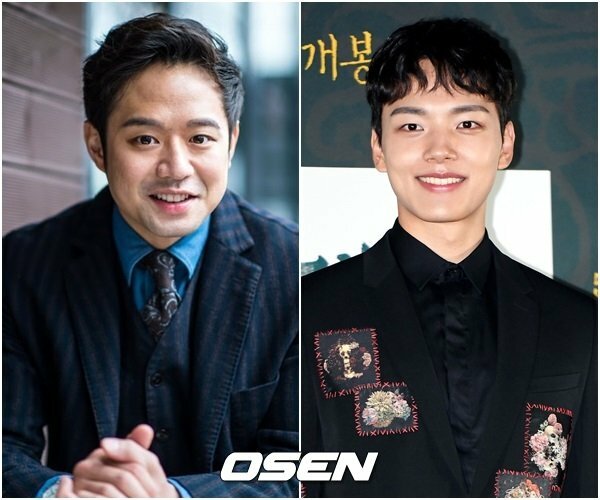 Yeo Jin-goo To Be Absolute Boyfriend in "Absolute Boyfriend"
Chun Jung-myung has dropped out of "Absolute Boyfriend" and Yeo Jin-goo is the only main lead in consideration. The production is struggling with casting and with finding a home station. "Absolute Boyfriend" has created hot news since the beginning of its creation with its casting efforts. Song Ji-hyo was initially the leading actress, but that fell through. Chun Jung-myung was to take on the role of Ma Wang-joon, a top star who is known to be the most perfect human. He forms a three-way relationship with Dada and Young-goo, a figure model for relationships. The figure model for relationships, Young-goo, is played by Yeo Jin-goo. He's a figure that only moves according to careful programming, but grows beyond his programming after meeting Dada. Chun Jung-myung last starred in the KBS 2TV drama "Master - God of Noodles". "Absolute Boyfriend" is based on a Japanese original and it's a romantic comedy with the same title and will be directed by Jeong Jeong-hwa and written by Yang Hyeok-moon. "Yeo Jin-goo To Be Absolute Boyfriend in "Absolute Boyfriend""
[Video] Two People Start Something They Shouldn't in "Young Wife"